When it comes to SNK everybody seems to know the classics, Fatal Fury, Art of Fighting, Metal Slug, Last Blade & Garou, with good reason. I am also a huge fan of the above series BUT some of my favourite titles in both the series and SNK history released at the start of what was the decline of SNK & Neo-Geo. Strap in for a history lesson and a little look at some of these fantastic and under appreciated titles, to help immersion play this jingle now!. Truly the sound of the angels. Lets take a look at 1996, 3 years after Virtua Fighter, 2 years after Tekken 1 and the same year as titles such as Dead or Alive, Virtua Fighter 3, Star Gladiator & Street Fighter Ex. A few 2D fighters still got released around this time, most iconic of them being Street Fighter Alpha 2 & Street Fighter vs X-Men, outside of these notable exceptions the market was heavily favouring the 3D fighters. Let’s face it, you got a nice shiny PSX or Sega Saturn in front of you, you’re going to want to push those new 3D graphics. This is going to look more appealing. Over this title isn’t it. Now despite Art of Fighting 3, in my opinion being one of the finest looking sprite based fighting games ever, equal to Third Strike, it having the smoothest animations I have ever witnessed in the genre, none of this mattered at a time when Sprites were out and Polygons were in. Real Bout Fatal Fury which released at the end of December 1995 was far from a slouch in the graphics department too. 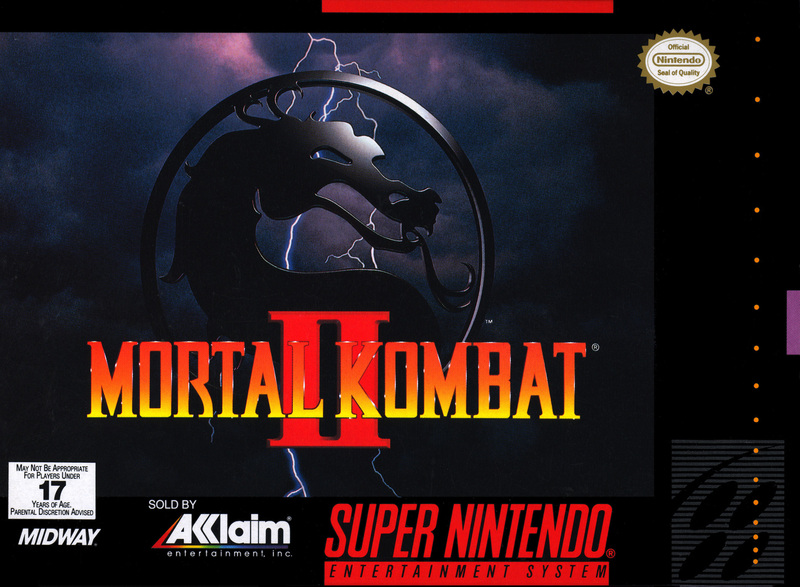 Ask anyone who owned the SNES or the MegaDrive (Genesis for those over the pond) what the first fighting game they played was, chances are you’ll get “Street Fighter” or “Mortal Kombat” back as your answer, nothing wrong with that either, both are fantastic titles and synonimus with that generation of gamer. 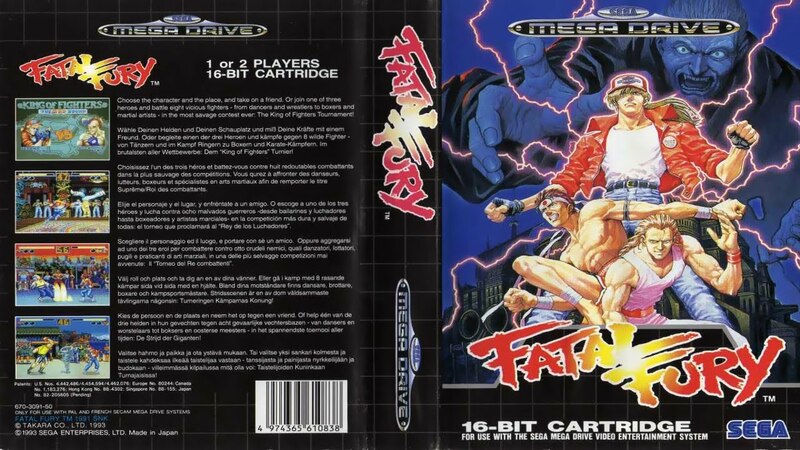 As always there is the odd exception, Hello there!, my first fighting game was Fatal Fury on the MegaDrive, I had copies of Street Fighter II and Mortal Kombat but the one that grabbed my eye was Fatal Fury, just look at this cover art!. No one else I had met, up until the birth of the internet, forums and emulators had heard of nor owned Fatal Fury, nevermind Art of Fighting which also released on the SNES or Mega Drive, infact the only SNK title that people seemed to know was Samurai Shodown 2, more people remembered Primal Rage than SNK’s offerings!. The lack of popularity can be factored into 3 things which I’ll go over with you now. The Neo-Geo launched in 1991 at $399.99 which roughly retails at around $700/800 in today’s financial climate, the games themselves also cost $199.99 at the time. 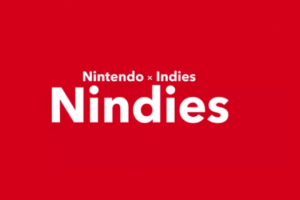 I’ve looked around the net and can barely see any infomation about any release in Europe, I can safely say I had never once seen either console nor it’s games in any store in the U.K I had visited. I knew of the Neo-Geo through the various games magazines I used to read and obviously because of my interest in titles such as Fatal Fury & Samurai Shodown. There was a little bit of exposure in the form of the ports by Takara, the quality of these ports varied between the consoles but the consensus is that the MegaDrive had the stronger ports. The issue with the ports lay with it’s availability, as solid as the ports are they just didn’t have the backing of Capcom or Acclaim and as such it’s hold on the market was visibly weaker. Fatal Fury 2 on the Mega Drive was actually exclusive Australia, check E-Bay and you can see it’s hefty price tag even now!. Either you had to try and hunt down the hard as nails to find ports OR try and track down a Neo-Geo and the game while emptying your bank account, especially if you wanted the Arcade perfect port!, dark times for Neo-Geo fans. Just take a look at the covers of Fatal Fury and Art of Fighting, namely the back covers. Art of Fighting’s inspirations live on it’s sleeve channelling the spirits of old Kung Fu action flicks. Fatal Fury channelled more into the “Street Fighter” theme with it’s gritty street attitude and darker visuals. Now before I get strung up, yes I’m fully aware of Mortal Kombat being similar in inspiration to Art of Fighting, the but coming is that Mortal Kombat had it’s hook, the gore!. 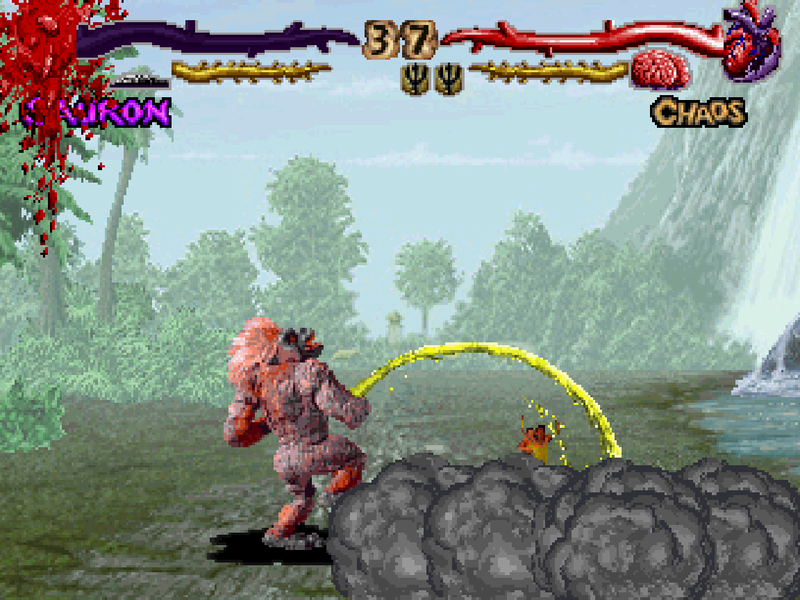 Samurai Showdown had gore and weapons, the 90’s was all about gore and weapons in it’s fighting game, Art of Fighting looked like the kind of game your Dad would of played after having memories of Ye Ar Kung-Fu. 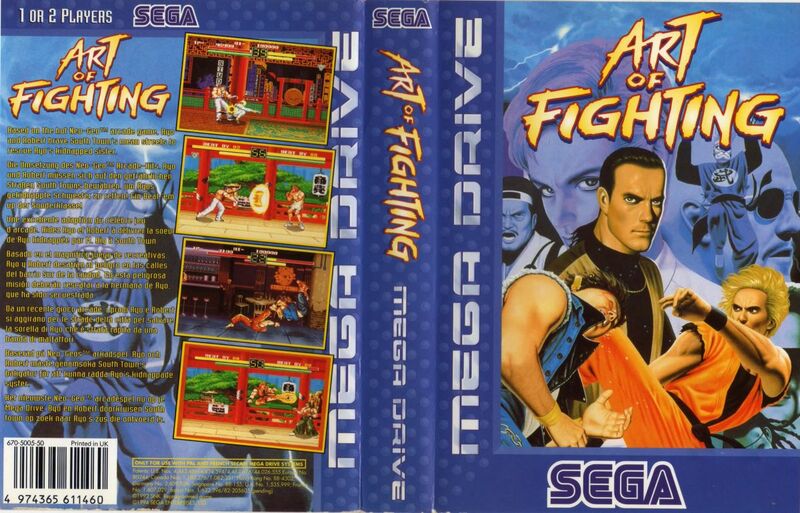 For the time, Art of Fighting was a fantastic game but visually it had been done and it seemed tone deaf due to it’s peers, it had been done, gaming was booming and people wanted the next big thing, bigger is better and all that jazz!. When I was a child I vividly remember the amount of Street Fighter & Mortal Kombat toys available. I remember catching episodes of the cartoon series’ & I’m sure the world will always remember Street Fighter: The Movie & to a lesser extent Mortal Kombat: The Movie. 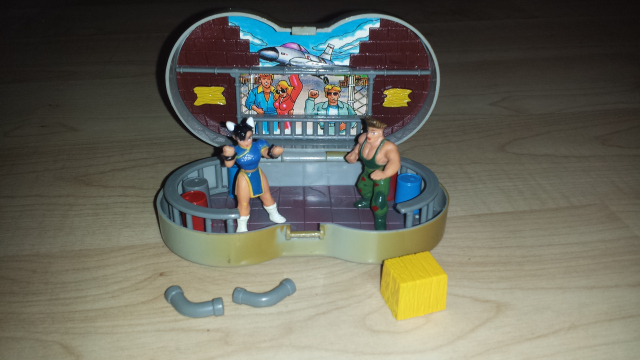 The merch was free and easy for Street Fighter & Mortal Kombat, I even remember owning Double Dragon toys and a VHS!. 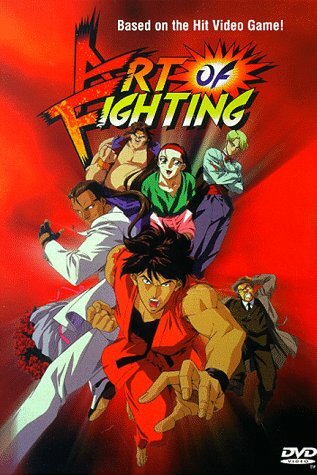 It wasn’t until years later that I discovered there was an animated film for Art of Fighting. SNK & Takara never quite gripped the market in a way that merchandise seemed viable, I’d of bought the Fatal Fury cast, wore a Fatal Fury hat and eaten Billy Sugar-Kanes (Copyright belongs to me!) but Fatal Fury never got that big in Europe. If Fatal Fury can’t break your market, it’s less edgy grown up brother Art of Fighting certainly won’t. Take those three aspects into consideration and you can see where SNK & Takara failed to establish a more marketable brand, it was a tough market to crack and despite many feeling the SNK offerings stand toe to toe with the others it never managed to get that reach to do so. 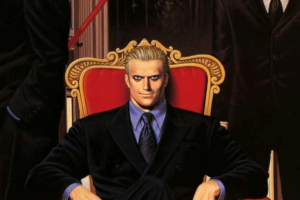 So following on from the previous rounds you can see how SNK entered somewhat a state of relative obscurity, failing to jump on the 3D train until years later with the extremely disappointing Fatal Fury: Wild Ambition. Thanks to TheInnocentSinful for the video. 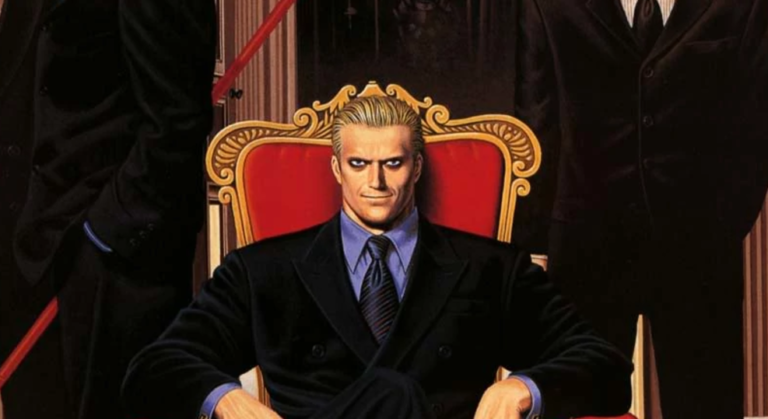 It’s during the quiet storm of 1996 that SNK truly crafted some magical titles, the first two that come to mind are Art of Fighting 3 and Real Bout: Fatal Fury. Art of Fighting 3 has THE best sprite work around and Real Bout is not only the most fun and responsive pure Fatal Fury game, the original actually dabbled with Arena Out’s and managed to release 2 sequels which really don’t get talked about as much as they should. 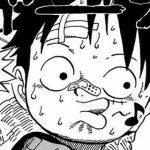 It wouldn’t be until the Dreamcast/Ps2 era when SNK would start picking it’s self back up and that didn’t last long before they went dark, making pachinko slot machines and being a name in the wind. Recent years SNK have come back in a big way, King of Fighters XIV was outstanding, the Digital releases are storming on Switch and SNK Heroines is on the horizon.